As a business owner, you know how important it is to stretch your money and make the most of what you earn. In lean times, every penny counts, and when your business is in a growth phase, having cash on hand can enable you to invest in equipment, increase your inventory, or hire additional employees. One way to maximize your money is to open a business savings account or business money market account. While business checking accounts get most of the attention, savings accounts and money markets are an easy way to earn interest on your money and save for future investments and expenses. Here are our five business account best practices for 2019. The first way you can use your business savings account is to set aside money for taxes. Whether you’re operating as a sole proprietor, an LLC, or a corporation, you’ll need to make quarterly payments to the Internal Revenue Service. It can be easy for business owners to find themselves scrambling when the time comes to file and pay their quarterly taxes. Setting money aside regularly will ensure you have the cash you need to pay them – and you’ll even earn a little interest, which means you’ll end up saving money in the long run. Perhaps your business needs a new piece of equipment, or you’re pursuing a large account and want to ensure you have the cash on hand to buy raw materials if you get a big order. Whatever expenses are on the horizon, you can use your business savings account to set money aside to cover it. While buying on credit is certainly an option, you may prefer to be able to pay for some things with cash. Opening a business savings account can provide you with an easy way to work toward your financial goals and keep the money you’re saving separate from the money you use to meet your day-to-day financial obligations. 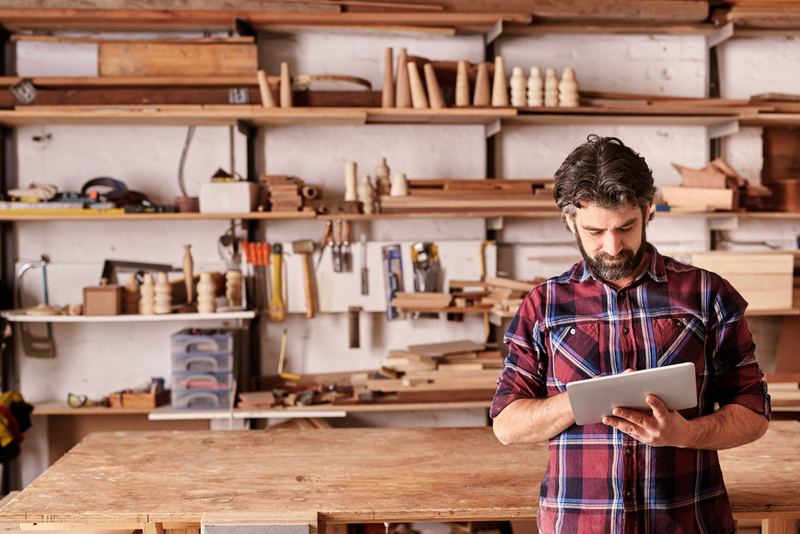 Even if you’re not worried about money to pay taxes or upcoming expenses, it’s still a good idea to use your business savings account to create a business nest egg that you can draw on in the lean times. It’s a good rule of thumb to save 10% of your net profits at first. We recommend calculating your fixed monthly expenses, and then averaging your variable expenses to determine how much you’ll need. Once you have six months’ worth of expenses in your account, you can decide whether you want to decrease the amount you’re saving or do something else with the money. The amount of debt your business carries can have a direct impact on your ability to borrow money and qualify for trade credit for business purchases. Having some cash on hand will ensure you’re not blindsided by a big, unexpected expense and forced to rack up business debt to pay for it. Of course, nobody can foresee every possible expense. You may still need to pay with credit. However, having some cash on hand can also make it easy to qualify for a business loan or line of credit because you’ll be able to show potential lenders that you handle money responsibility and will be able to pay them back. Any business can make a mistake and overdraw a checking account by accident. Some financial institutions will allow you to link your business checking and savings account and make an automatic transfer from your savings account to help you avoid overdraft fees. Having linked accounts at the same financial institution also gives you the option of quickly transferring funds between your accounts when you need them. In other words, you can easily transfer some of your profits into your savings account each month; and, you can move money from your savings account to your checking account when you need funds for a major expense or purchase. The bottom line is that opening a business savings account makes good financial sense. You might not be able to save much at first, but even a small nest egg is better than none. As your profits increase, you’ll be able to save more and plan ahead using the money you’ve accumulated in your business savings account. Ready to open a business savings account for your company? Click here to learn about the CFE Business Savings Account now.